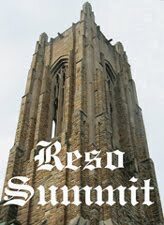 ResoSummit, the annual US gathering and workshop for resophonic guitar players, was held a week ago in Nashville, TN, with an all-star teaching faculty headed by ResoSummit's founder, Rob Ickes, who was touring recently in Europe as a member of Blue Highway. The 100 players who took part in ResoSummit 2012 included musicians from Denmark, Australia, Ireland, Switzerland, and Canada. Comments from any of the European pickers at ResoSummit are welcome. Registration for this year's event was opened on 31 Jan. 2012 and was sold out within an hour and a quarter, so would-be attenders are advised to get their names on a waiting list. Read more here.